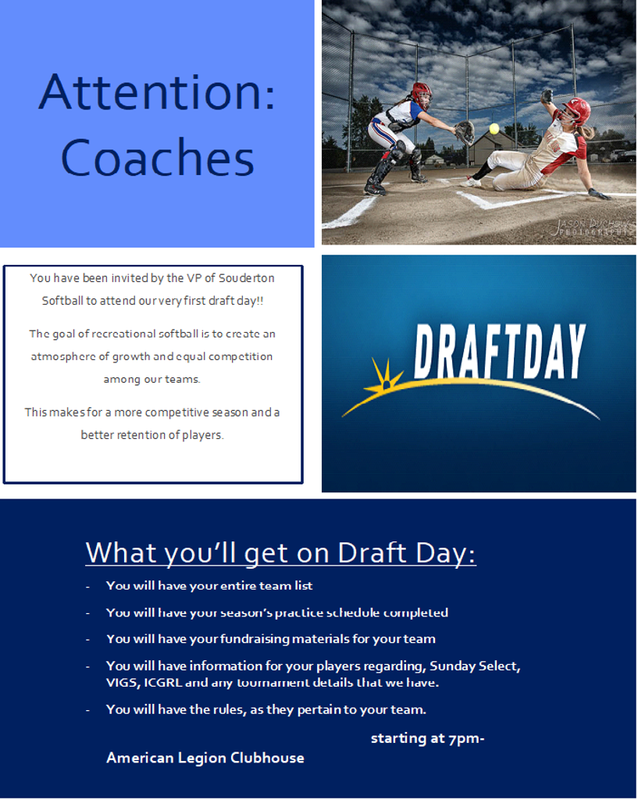 Ages 7 and 8 is an instructional introduction to Softball. The program builds on the fundamentals taught in Quickball and introduces the fundamentals of Softball. There is no score keeping and games last no more than an hour and a half. There are about 10 -12 games, with no playoffs, per spring season which runs from April to June. Home field is the American Legion. In fall (September-October) most games are at Schweiker Park in Hatfield. Ages 9 and 10 is competitive softball with an emphasis on fundamentals and player development. Introduces ASA rules including sliding and full time player pitching. Games are 6 innings or a maximum of two hours. There are about 12 games, not including playoffs, per spring season which runs from April to June. Home field is the American Legion. In fall (September-October) most games are at Schweiker Park in Hatfield. Ages 11 and 12 is competitive fast pitch ASA softball which builds on the concepts taught in the 9-10 program. Games can be played any day of the week and are 7 innings or a maximum of 2 hours. There are about 12 games plus playoffs per spring season which runs from April to June. Home field is the American Legion. Opponents are in the Inter-Community Girls Softball League (www.eteamz.com/icgsl). In Fall most games are at Schweiker Park in Hatfield. Ages 13, 14 and 15- is competitive fast pitch ASA softball. Games can be played any day of the week and are 7 innings or a maximum of 2 hours. There are about 12 games plus playoffs per spring season which runs from April to June. Home field is the American Legion. Opponents are in the Valley Intercommunity Girls Softball (VIGS) League. In fall (September-October) they play in the VIGS league, as well. Ages 16 to 18 is competitive fast pitch ASA softball. Games can be played any day of the week and are 7 innings or a maximum of 2 hours. There are about 12 gamesplus playoffs per spring season which runs from April to June. Home field is the American Legion. Opponents are in the Valley Intercommunity Girls Softball (VIGS) League (www.vigs.net). In fall (September-October) they also play in the VIGS league. ©2019 Souderton Area Baseball and Softball League / SportsEngine. All Rights Reserved.